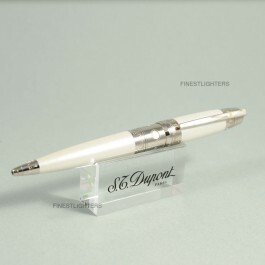 Launched in 2005, only 1929 pieces of this pen were made. For more information about "Shaman" Limited Edition click here. Finished in platinum (palladium) and decorated with tribal American motifs and wonderful pearlised Chinese lacquer with mother-of-pearl inlay.